Vintage Mens shirts can transform an outfit, and you can match them with contemporary pants or skirts and make your own style rules. 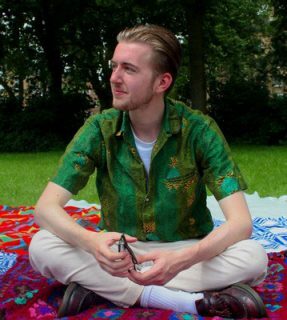 From 1950’s cotton print Hawaiin to 1990’s prints,we have Mens vintage shirts for every occasion. Shirts can be worn in whichever way you want to wear them. Whether it’s for a casual look or you want to dress up, we’re bound to have something that helps you to look your very best. A vintage mens shirt is always better than brand new, you’re not only guaranteed a truly original garment that you’re not likely to see anyone else wearing, you’ve also got a quality garment that you’ll still be able to wear 10 years from now. Some retro shirts cuts and styles never go out of fashion, so always look for classic vintage shirts that have all the hallmarks of not only matching everything you have in your closet but any current trends that are around right now. If you choose well, your vintage mens shirt should match any trends that come along in the next 10 years, because a shirt should always be versatile. From the sixties through to the nineties, we have every style, colour and shape you can think of. A shirt from the sixties can be a stylish match for any outfit, and not lose its ability to impress over the years or ever stop looking fresh and current.All our vintage Mens shirts are of good quality and checked thoroughly before we stock them, so all our customers get an investment garment that will last a long time. Take a look around our vintage mens shirts section either online or in store – you won’t be disappointed.